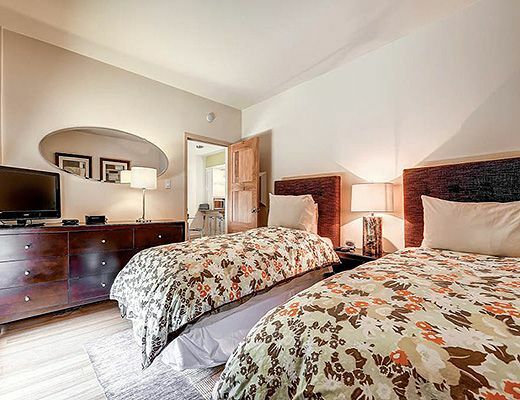 This property sleeps up to 4 people with a king bed in the master bedroom and two twin beds in the second bedroom. 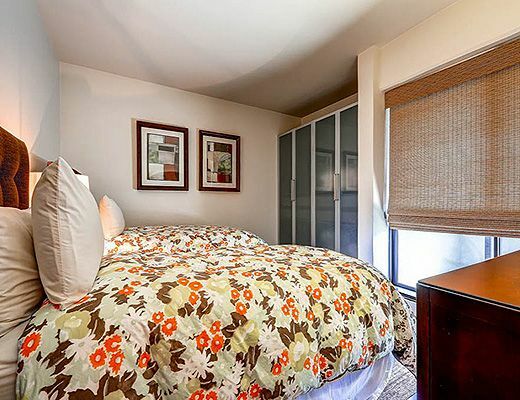 The master bedroom features a 32" TV. 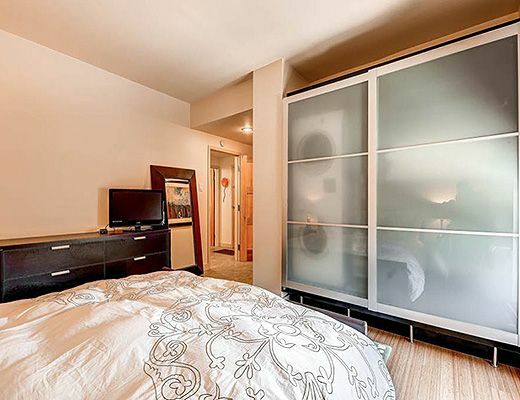 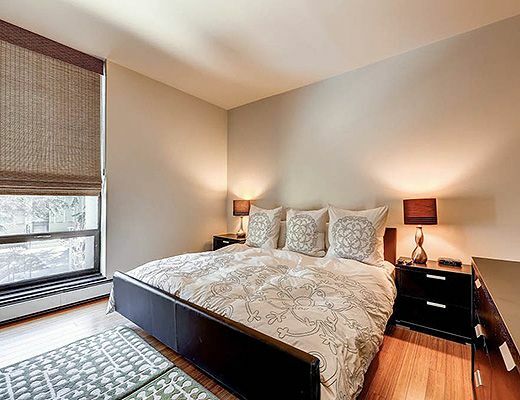 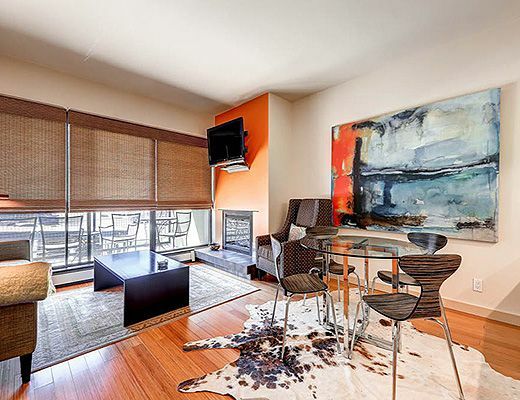 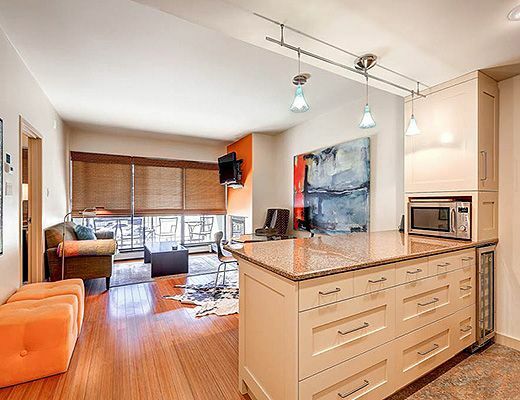 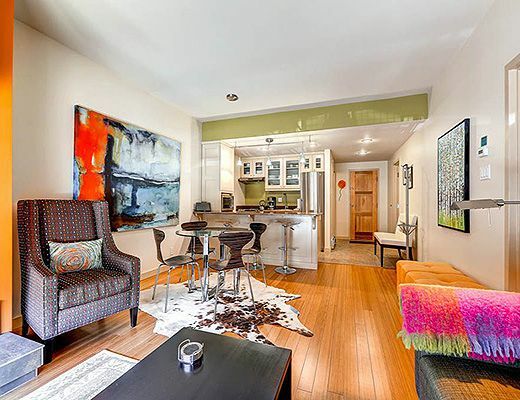 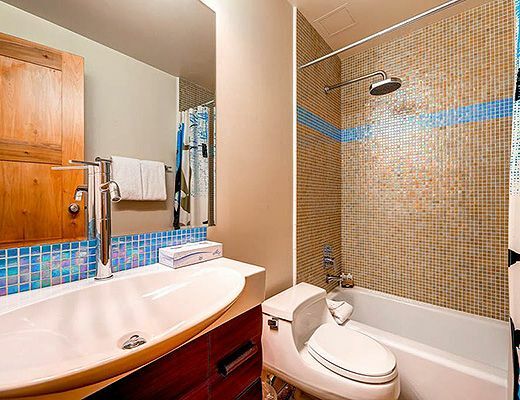 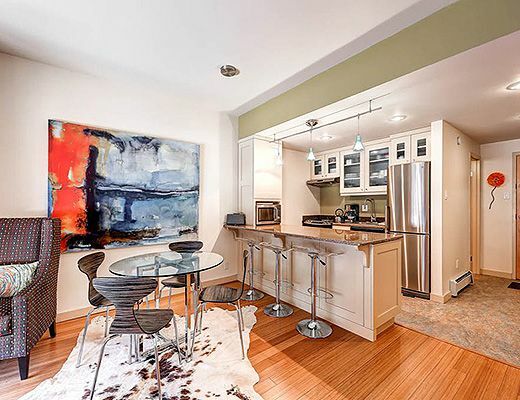 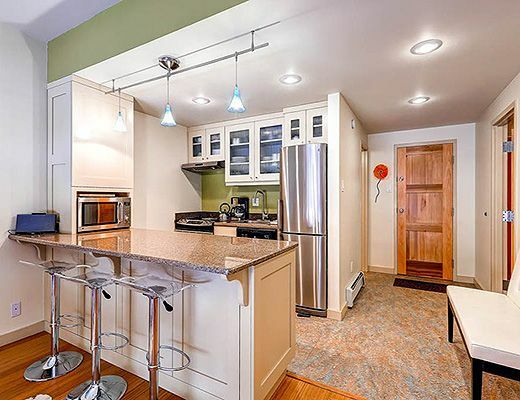 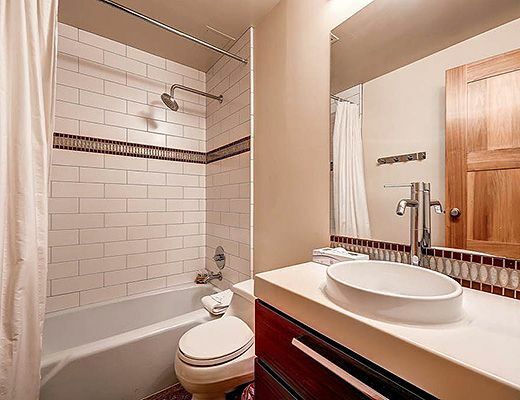 This modern, uniquely decorated condo has a fully equipped kitchen and dining table for 4 plus 3 counter stools. 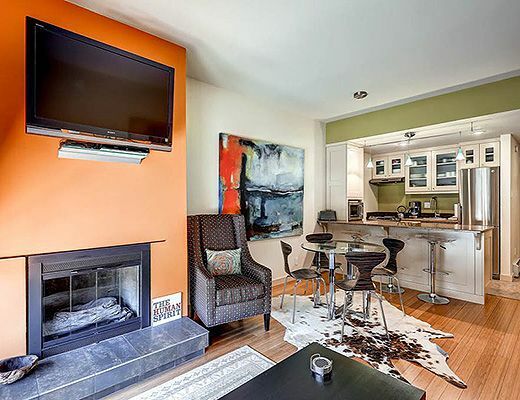 Unwind in front of the the gas fireplace and 42" TV/DVD/VCR in the living room after a day on the slopes. 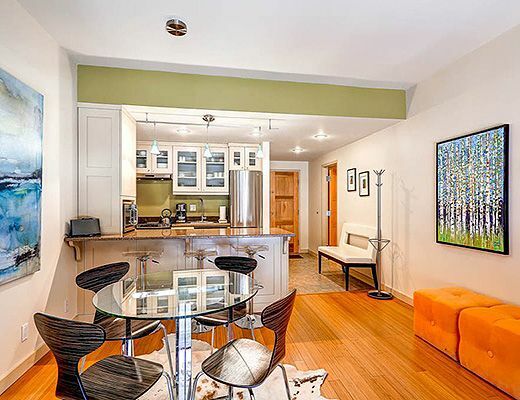 Balcony with seating, private washer/dryer. 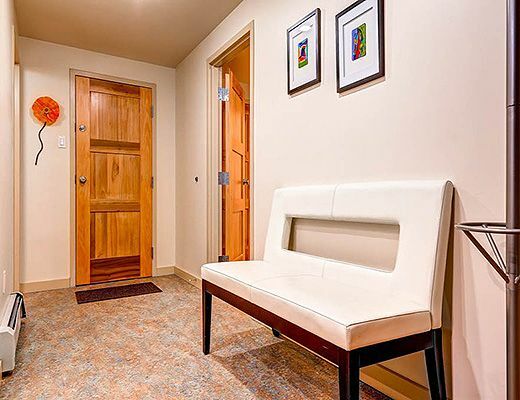 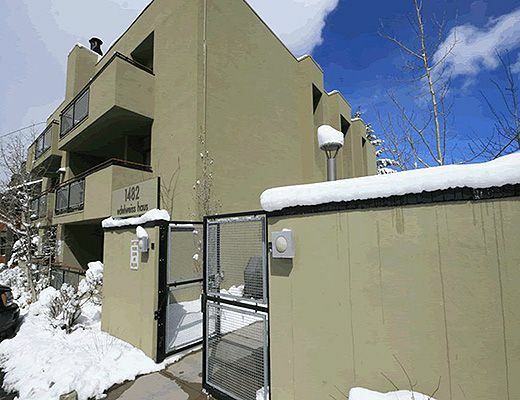 Just two blocks from Park City Mountain, this deluxe property offers accessibility and modern living.The free city-wide shuttle stops just across the street, giving guests easy access to the lifts at Canyons Village, Deer Valley Resort and historic Main Street. 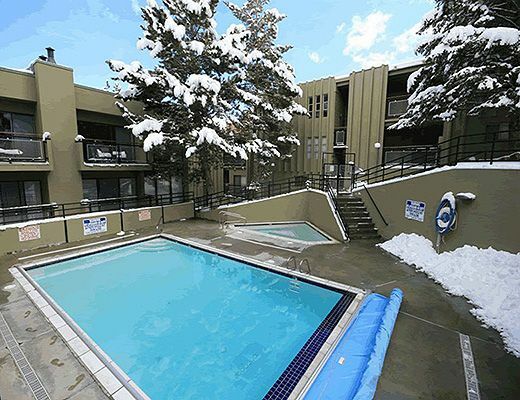 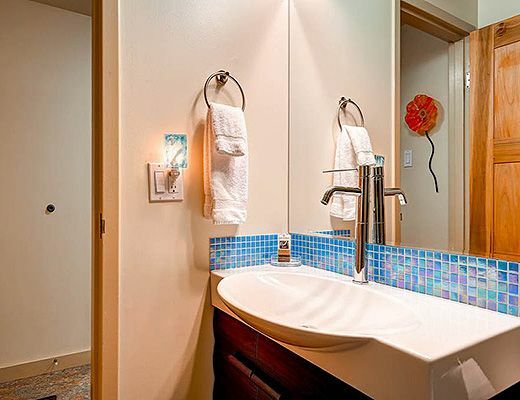 The Edelweiss complex amenities include a seasonal hot tub and outdoor heated pool for winter and summer use, private men's and women's saunas and underground parking, as well as free wi-fi.